Kinshasa, 1st February 2017: Greenpeace Africa has today revealed further breaches to the 2002 moratorium on industrial logging titles by top Congolese government officials. Barely a month after these breaches the Central African Forest Initiative (CAFI) paid out $40 million to safeguard the DRC forest. 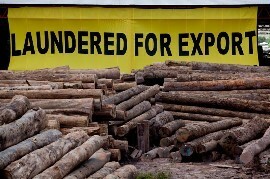 The illegal concessions were signed by Former Environment Minister Bopolo Mbongeza to Faustin Lokinda Litalema and Jacques Mokako Nzeke in a highly irregular manner, as detailed in a newly published Greenpeace briefer titled DRC Donors Released $40 million after 4000 km² Forest awarded to Kabila Adviser and MP. Faustin Lokinda, is a high profile government official and Agriculture and Rural Development adviser in the Kabila administration. He is currently the President of the Board of Directors of “Groupe Les Bâtisseurs du Congo” (GBC) that has been awarded a 25-year 162,936 ha concession in Tshopo Province. Ruling party Member of Parliament Jacques Mokako Nzeke’s APC also received a 239,393 ha approval letter in Mongala Province. 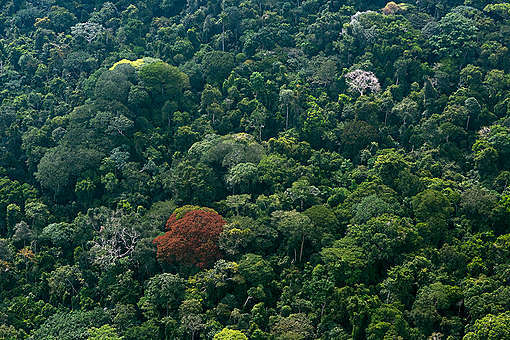 The Central African Forest Initiative (CAFI) is in the process of disbursing $200 million to the Congolese government for forest protection. This comes hot on the heels of Norway’s Climate and Environment Minister Vidar Helgesen’s visit to Kinshasa on 23rd august 2016. 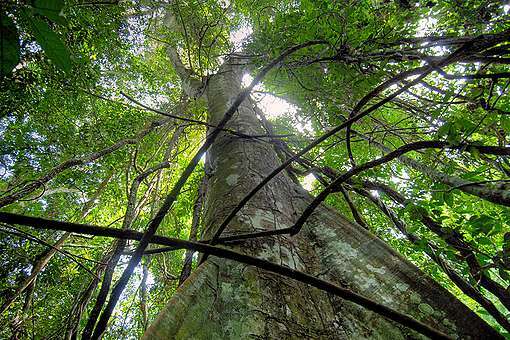 A first installment of the $ 40 million payment had been transferred by CAFI to the Congolese government in October 2016, months after Greenpeace exposed similar breaches titled “How the DRC government has secretly breached its own logging moratorium,” 12 July 2016. “To ensure that donor money is not wasted, a suspension of the entire CAFI program needs to be urgently put in place until a thorough revision of its overall approach including the adoption of adequate monitoring mechanisms and safeguards is carried out,”cautioned Irène Wabiwa Betoko.